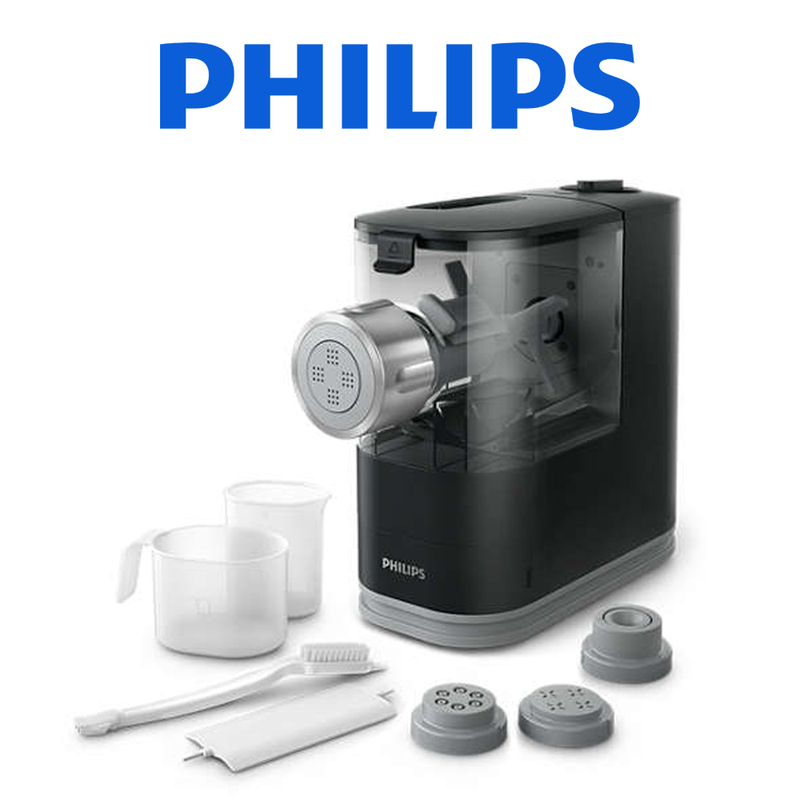 Philips Viva Pasta & Noodle Maker is a fully automatic solution that enable you to prepare fresh pasta and noodle from scratch without spending a lot of time and skills. 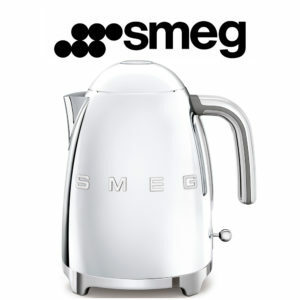 With compact size, it can easily fit into your kitchen and storage. 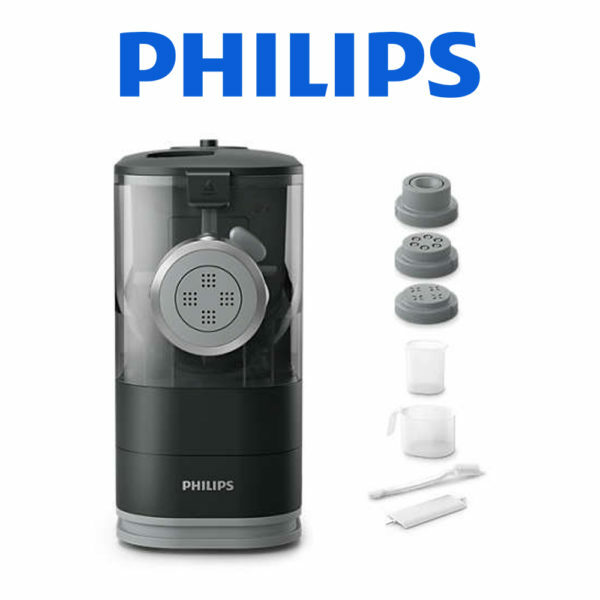 The detachable components of the Philips Viva Pasta & Noodle Maker can be easily installed, dismantled and cleaned. To create your favorite pasta shapes, simply attach one of the pasta shaping discs to the pasta maker. With the machine there are 4 default classic shaping discs for Spaghetti, Penne, Fettuccini and Lasagna. The specialist shaping discs enable double extrusion process to assure smooth pasta and noodles consistently. Accompanying the machine is a recipe book created by culinary experts, providing you with inspiration for fresh homemade and delicious pasta and noodles. It has seamless and compact design. You can always keep it on the coutertop or store in the cabinet without occupying a lot space. 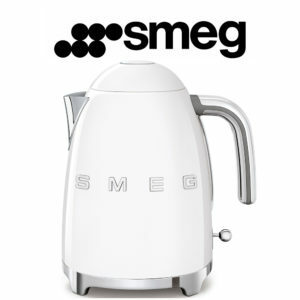 The smart built-in storage for shaping discs and power cord allows you to keep your kitchen tidy and neat at all times. The uniquely designed kneading tube is featured with angled multi-pins, the stirring bar ensures the flour and liquid are mixed evenly and thoroughly from every corner in the mixing chamber. The long kneading tube guarantees an optimal kneading process, resulting in perfect and bouncy dough. Homemade pasta made easier. 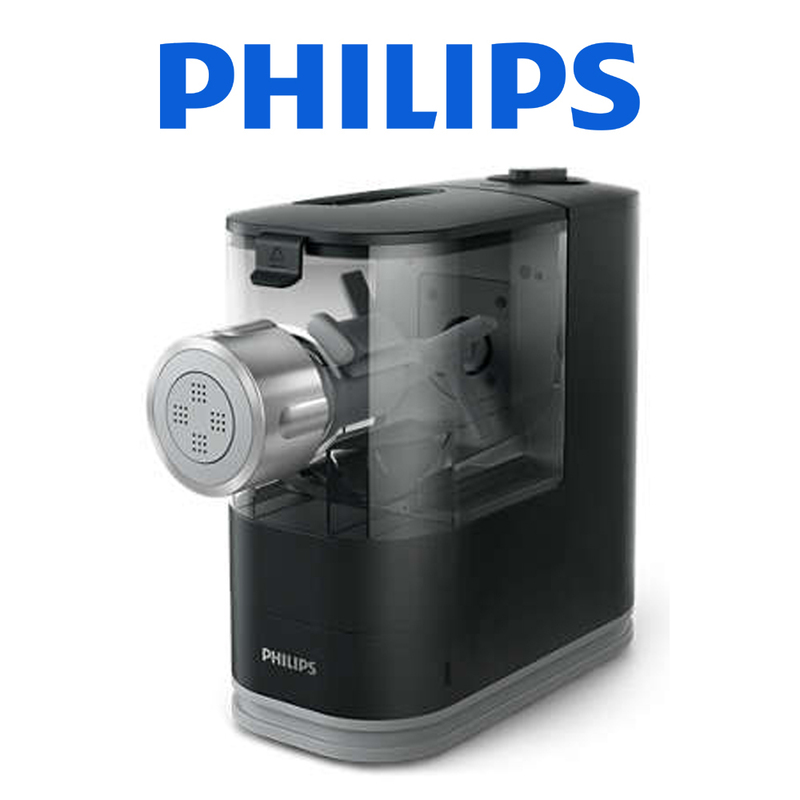 Now, with the fully automatic Philips Pasta & Noodle Maker, you can make fresh pasta and noodles much more often. Your new pasta maker does all the hard work for you. By using different types of flour – e.g. whole wheat, durum, spelt – you can make your favorite pasta healthier. You can also add extra flavor by using various vegetable juices such as carrot, beet or spinach.